Weeks begin on Wednesday at Oliver’s Market. Our Weekly In-Store Ad runs from Wednesday to Tuesday of each week. You can find a copy near each store entrance – just look for the mailboxes! Want to use the ad to meal plan at home? You can view it online here. 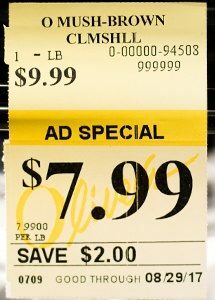 While you’re shopping keep an eye out for the orange Weekly Ad tags to find products on sale in case you don’t have your Weekly In-Store Ad handy! Please note that our Thanksgiving and Christmas ads are two weeks long for your shopping and planning convenience. 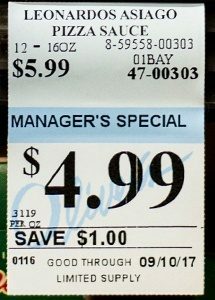 Sometimes department or store managers have an over-abundance of a product, or get a rockin’ deal out-of-the-blue from a vendor – we love being able to pass on additional savings to you, so watch for the blue Manager’s Specials tags when you shop. Why settle with week-long ads, when you can enjoy savings on hundreds of products for three whole months?! Our Real Everyday Values (nicknamed REV) is a great compliment to our Weekly In-Store Ad. Our Buying Team secures long-term special pricing each quarter, and we pass the savings on to you! 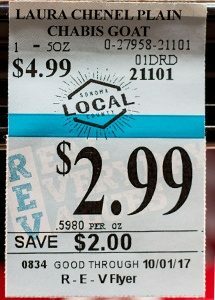 Every January, April, July, and October grab a REV Flyer, watch for the teal REV tags (or purple if it’s a gluten-free product) throughout the store, and enjoy the savings! Like our other ads, you can view it online here. Have we mentioned that, to us, Local Means Sonoma County? 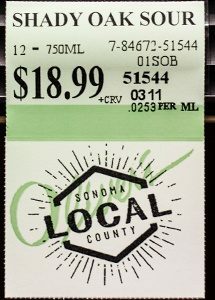 Supporting and highlighting local companies throughout Sonoma County is very important, that’s why we’ve designated a shelf tag to call those companies out. 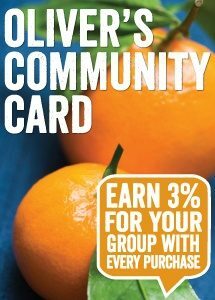 Look for the green Local tags and circles while you shop and you can feel confident that your dollar is supporting a local, Sonoma County business. Struggling with Celiac, or know someone who’s going gluten-free? We know that finding products that fit into dietary restrictions are important. That’s why we’ve called out every certified gluten-free product in each department. 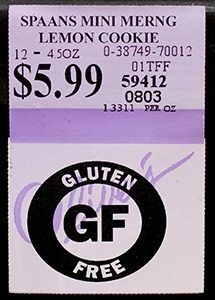 Keep an eye out for the purple Gluten-Free tags throughout our store. Love sipping coffee and reading the morning paper? Look for our Press Democrat Ad each Wednesday – this is where we feature some of best-priced items from our Weekly In-Store Ad. Don’t get the Press Democrat? Fear not! You can view it online, here. 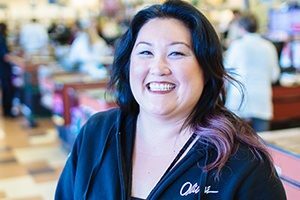 You may not find a group of people more passionate about good food and drink than the employees at Oliver’s Market. We also can’t keep our opinions to ourselves so we developed a Staff Recommended program to highlight our very favorite products around the store. Look for the Staff Recommended Tags to see what our employees are suggesting, you may even find a new product too! It’s like a year-round Easter egg hunt! Each Wine Department is staffed with passionate, trained wine-o’s. Their favorite wines are reviewed using the Oliver’s “thumb” system so you can find the best of the best. Each reviewer signs their name at the bottom of the tag – you might find that your preferences match their favorites and you can follow their recommendations in the store. Want to take the knowledge of our Wine Team with you when you walk out our doors? 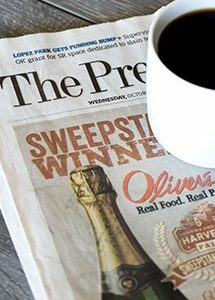 Look for our Oliver’s Best Cellars newsletter where you can find carefully selected wines, beers and spirits that deliver outstanding quality and are offered at a great value with limited time pricing. 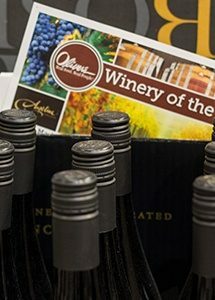 Grab Oliver’s Best Cellars in our Wine Department or view it here. Each month Richard Williams, our Wine Buyer, selects a winery to feature as our Winery of the Month. The wines featured in this newsletter not only taste great, but we’ve got them at a price you can’t beat for the whole month. Grab the newsletter, pour yourself a glass, and enjoy your new-found knowledge! Pick up a copy in our Wine Department or you can view it here. Customers 60 years or older receive 10% off their purchase (excluding alcohol and tobacco) every Wednesday from 7 AM – 4 PM. 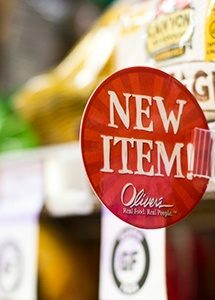 Want to see a new item in your favorite Oliver’s Market? 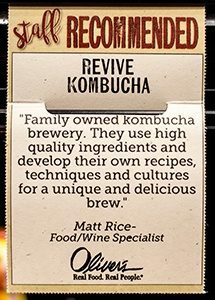 Did you discover something incredible that you want to buy a case of? Just have a comment or suggestion? Reach out to Shirley, our Customer Service Specialist! Click here to reach out to her.